ACH is a method that allows you to automatically pay rent directly from your bank account. To set it up, first log in to your NowRenting Resident Hub account. Then select Settings from the dropdown on the right of the top navigation bar, and make sure the Payment Source tab is selected. If you choose to sign in via your online banking account, you’ll be taken to a Stripe form that will guide you through the process of providing your login credentials. This will allow you to pay rent right away. The other method to connect a bank account uses microtransactions to verify your identity. To use this method, click on the Enter Your Routing and Account Numbers link. 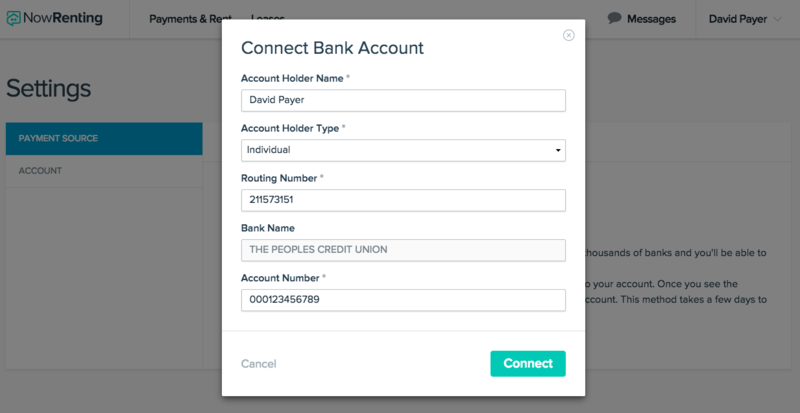 Enter your bank account information in the form and click Connect. We’ll make 2 small deposits in your account. It may take several days for them to appear. When they do, navigate back to this page and click Verify Now. 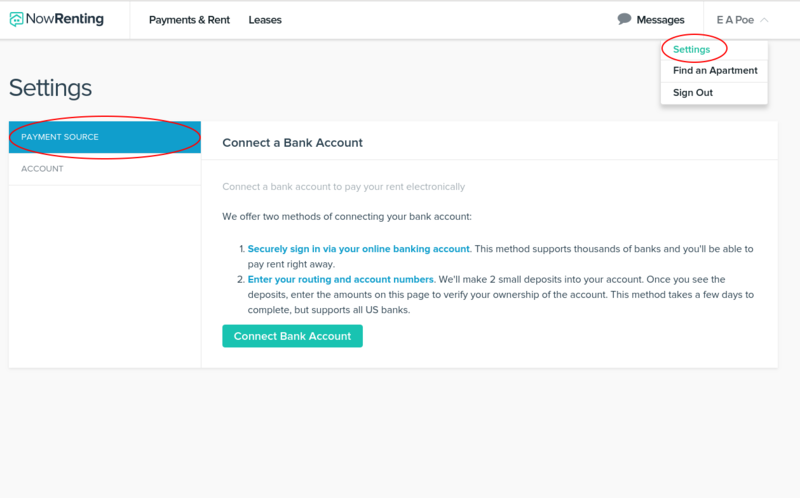 Enter the two amounts in the form provided and click Verify, and your bank account will be connected. To sign up for auto-pay, so that your rent will be automatically deducted from your account when it’s due, click the checkbox labeled “I’d like to automatically pay my rent”.